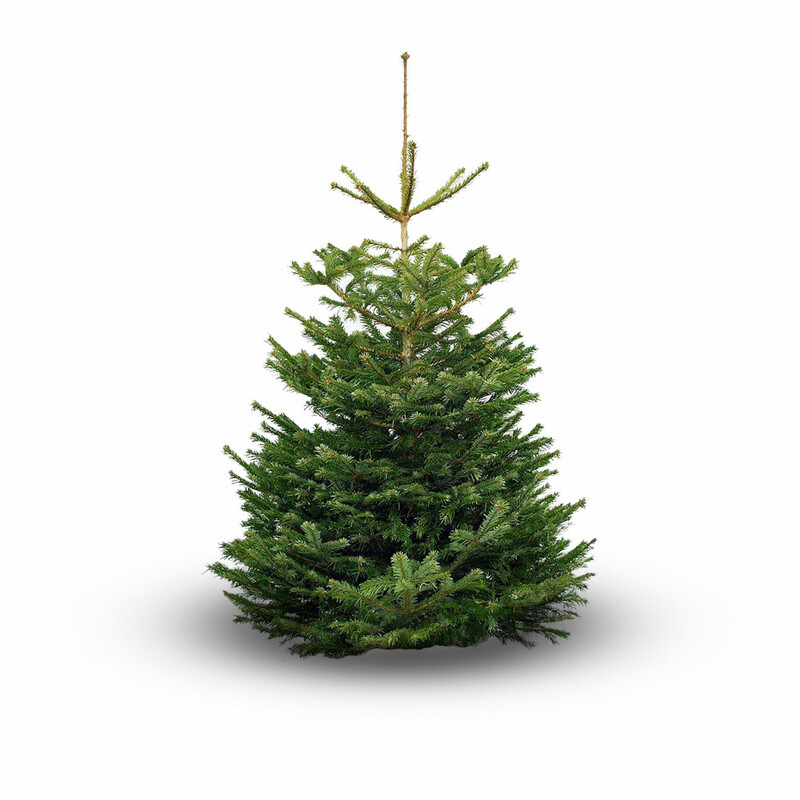 This is now the most popular Christmas tree and of course we grow plenty of them. It is one of the slowest growing and has good needle retention. Each tree is shaped every year by hand. This encourages a nicely shaped, symmetrical, and bushy tree. 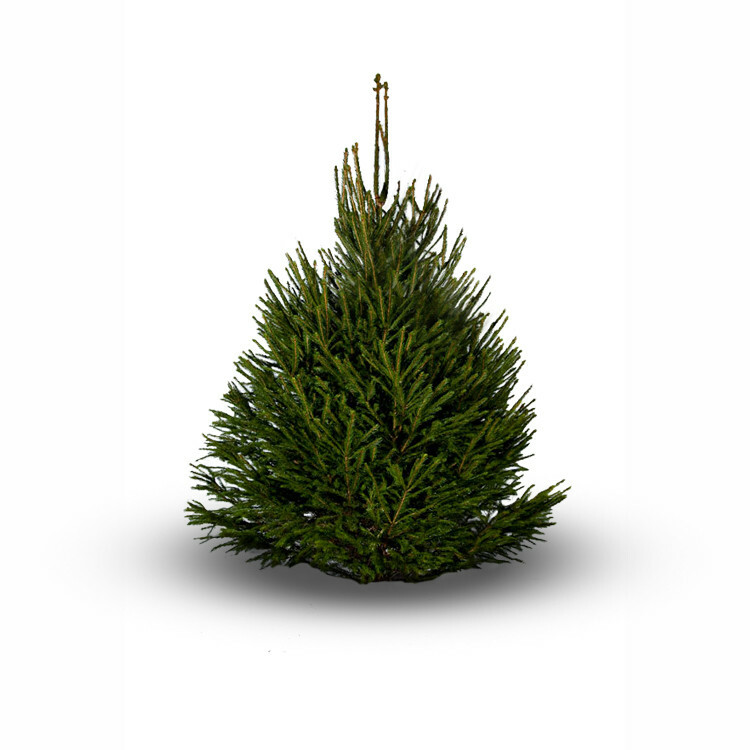 Nordmann Fir is naturally a full and wider tree with strong branches which are nicely spaced. That perfect shape however comes with less of a Christmas tree fragrance than other varieties. 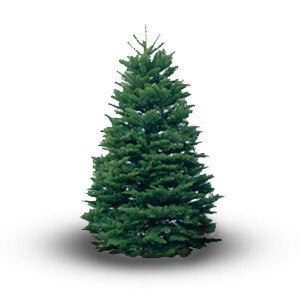 At one time Norway Spruce was the only variety of tree you could buy at Christmas. They are the most fragrant of all Christmas Trees. They are less suited though, to modern central heating. 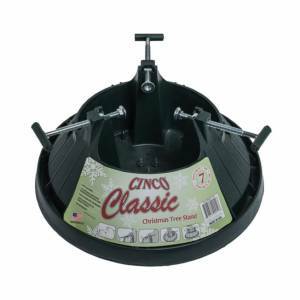 With fairly sharp smaller needles, they are a lovely bushy tree and if its fragrance you are looking for you can do no better, if you don’t mind getting the hoover out. It is still a popular tree and we always have them, but do not really grow them ourselves as they can be a bit sensitive to sea air and wind. 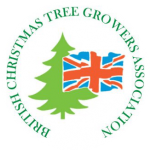 Our Norway Spruce come from Devon, and any trees that we buy in are always from members of the BCTGA, with whom we have developed relationships over the last 10 years. 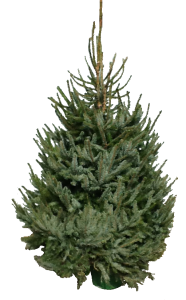 Fraser Fir is a lovely fragrant Christmas tree that holds its needles well. It also needs well drained soil. We plant Fraser Fir every year but not in the same numbers as Nordmann Fir, so depending on the growing year we may not have availability later in December. It has smaller needles that are still soft and have good retention. It is a compact bushy tree with a silver/white colour to the underside of the needles. A more quirky shaped and interesting tree with the strongest fragrance of all firs. 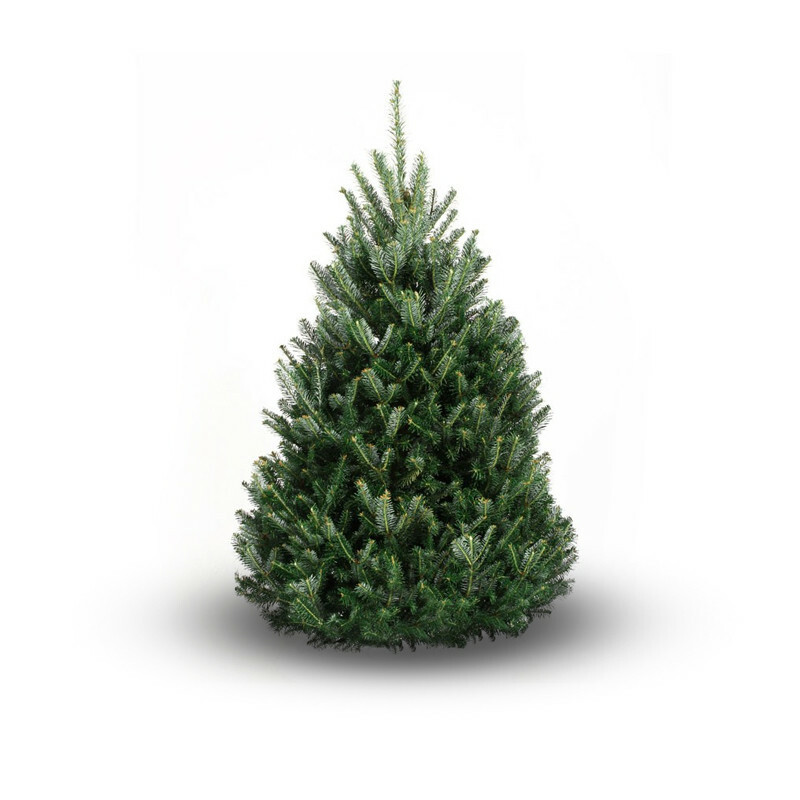 One of the best trees for needle retention, Noble Fir is a little tougher to grow. They need well drained soil and plenty of rainfall. Fortunately, Cornwall and Gulval have both, so we will always plant plenty of Noble Fir. If we get it right they are a most stunning tree. Interesting colour with very strong branches. 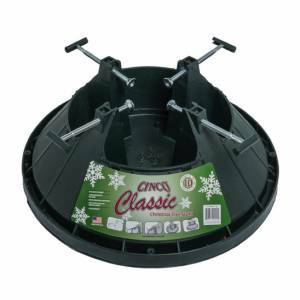 They tend to be more spacious between the branches, and have a lovely Christmas tree fragrance. There are two types of potted Christmas trees. Pot grown and potted. Pot grown are, as the name suggests, grown from the beginning in a pot and are like any pot grown plant. If you decide to plant it out after Christmas it has an excellent chance of growing on. Potted trees are placed in pots specifically for the Christmas market. They have been growing in the ground and are dug up to be put in the pot. 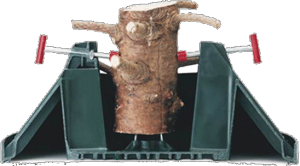 This process and the necessity for an easy to handle pot size means that the roots are cut giving a fairly small root ball. The tree is alive and as long as you water it, will last well over Christmas. Because of the trauma to the roots a potted tree has a 50-50 chance of growing on if planted out. We sell potted trees. They are a good solution if you like Norway Spruce as the living tree will hold on to its needles better. Our potted trees are from 3ft to a maximum of 5ft tall. We also sell pot-grown trees. 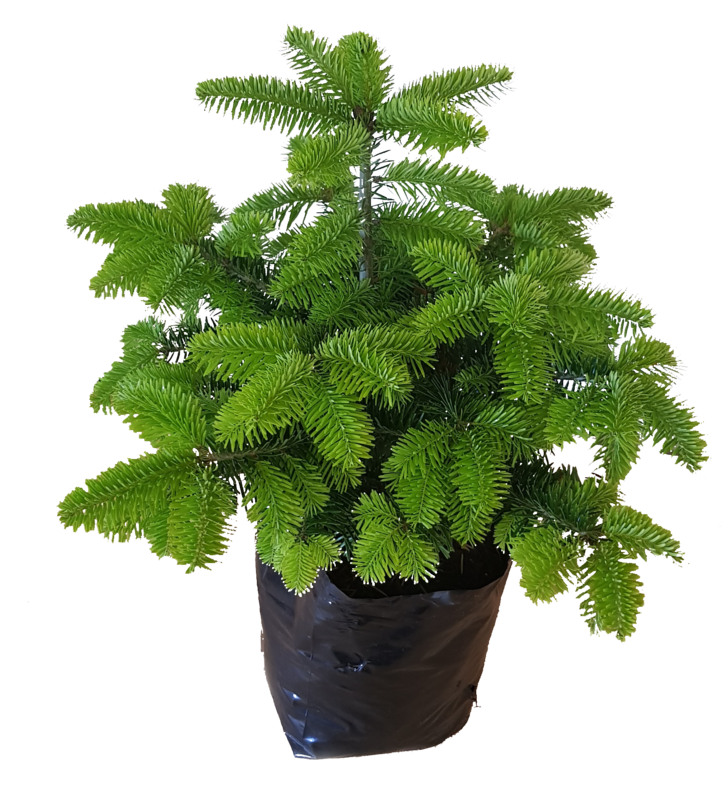 These are a good option if you like Norway Spruce as the living tree will hold on to its needles far better. Our pot-grown trees are from 3ft to a maximum of 5ft tall. 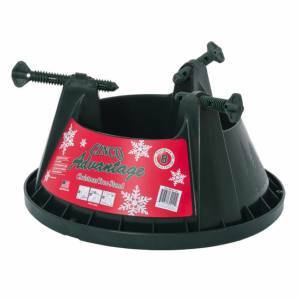 We sell water holding tree stands and recommend these as the easiest way to put up your tree and keep it looking nice over Christmas.